Very clean and basic. Was just what was needed and it a nice area with friendly members of staff who were very helpful. Wonderful staff with great recommendations for food and things to do. Good beds, clean rooms, and a really cute vibe. A bit of a far walk from the city center if staying alone, as are is quiet, but not necessarily unsafe. Has a hotel vibe, not necessarily a hostel vibe, so if you're looking to meet people this is probably the place. Very central location with very friendly staff, especially the receptionist (Nathalie?) who was incredibly welcoming and was very helpful when we needed a taxi to the airport. We stayed in a private room on the top floor which was clean and had a comfortable bed, the room was basic but I have no complaints at all. 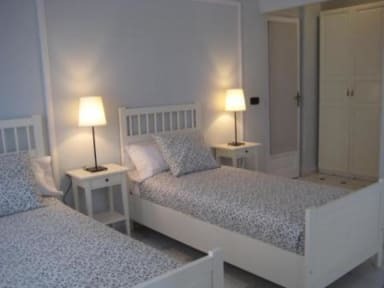 When I come back to Valencia I'll definitely use this hostel again. Staff were really nice and helpful. Rooms were well kept and air conditioned. Close to local sites, would stay here again. Great place to stay if you just need somewhere to chill and sleep after a long day of exploring. The staff was very helpful and accommodating. 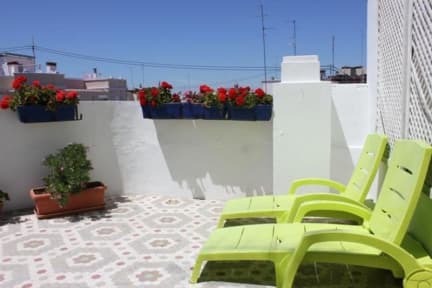 About a 10-15 minute walk to the City of Arts and Sciences, and nearby to the city center. Great location, clean, safe, and working AC. Nice place in the centre. friendly and helpfull staff. We enjoyed our stay: the superior private double ensuite room had a ton of space, A/C, and comfortable bed. Location is only a 10-20 minute walk to more historic areas and close to the park & plenty of local restaurants. Recommend renting a bike! Cons: WiFi is a bit slow though functional, and all noise from the hallway seeps into the room at all hours which is directly next to a shared bathroom. Also, the room key is rather rudimentary, though the main entrance is protected by a numeric keypad. I really liked my room with a single bed, since it is hard to find hostels or b&b with rooms for solo traveler. It was very quiet and clean and I slept well. The only downside is that it doesn't have a small kitchen aera for refilling water bottle or boilling water for tea. Staff was very friendly, but not very helpful with surrounding information when I asked about a cooking class. Not much of a social hostel. The room was spacious, with decent lighting. The shower had great water pressure. Hand towel, body towels, liquid soap and shampoo were provided. Lots of noise. Granted there was construction going on in the morning (not the fault of the hostel). Hallway noise was bothersome. Anytime a door was closed, people walking and rolling luggage. Perfect location, a clean little room with very good beds and a nice little balcony on 7th floor. That's about it, but that's a good value for the money we paid. If you want to meet other travelers, this is not for you. There is no common room or any meeting area.